He knew I did a deep dive for the folks at Larson & Brown and asked if I minded doing an analysis for ICI Insurance. What would I suggest, from an SEO perspective? 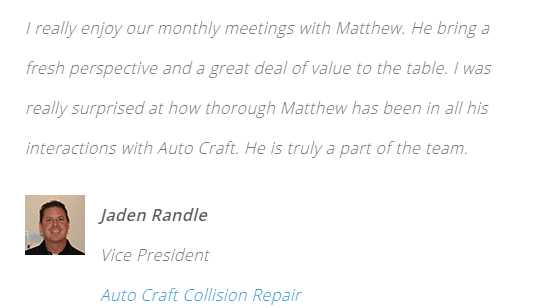 My name is Matthew Rupp and I have helped dozens of local businesses, right here in Wichita, get more website traffic and improve their rankings on Google. In 2011 I owned Big Sky Party Rentals. After hiring several companies to help with increasing my ranking on Google, and becoming increasingly frustrated with the results, I set out to teach myself how to accomplish this. In less than two years, I was #1 on Google for 64 different keywords and on the first page of Google for 119 keywords altogether. You can check out my entire story (it’s pretty cool) here:http://www.sawwebmarketing.com/about/ . Since then I have continued to learn and stay up-to-date on the latest and best SEO practices that produce results. I turned my frustration into a new business and today I give talks on the subject and have helped dozens of companies, many of which are right here in Wichita. On one hand, ranking well on Google is absolutely critical today. On the other hand it’s hard to know WHO to trust. -The phone book (HIBU now) – Makes such outlandish claims, it should be illegal. -Every 2 bit huckster who read a handful of blog posts and is now an ‘expert’. -The guys who claim ‘expertise’ but put all their customers into the same box. -Not to mention THOUSANDS of directories (Yelp, Citysearch, YP.com) who claim to have piles of leads just begging for somebody to do business with. -And top it off with 4 billion automated phone calls offering to ‘help’ you claim your free business listing. 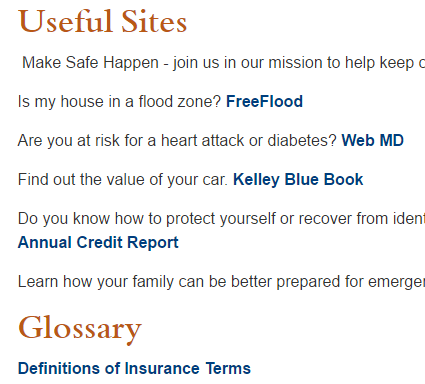 Before we jump into the Insurance Center website let me clarify a couple things real quick that might be helpful. -Google makes billions of dollars selling ads at the top of the organic (free) listings. -Who is Googles ‘customer’? It’s not the companies spending all the money on those ads and it’s certainly not the businesses who benefit from being at the top of the searches and don’t pay Google a cent. It’s the end user. Think about it. People having a great experience when they use Google to find the answer to just about anything they ask is what keeps them coming back. Nobody is using Google because of the great ads. They use it because they know how great Google is at returning relevant, useful information. -Ok, so now we know Google makes mountains of cash returning the best possible result (based on what was searched for) and they have a vested interest in getting better and better at returning the very best result – what should the goal of your website and online presence? To BE the best possible result. I know easier said than done. But, take heart, I can show you how to do it. -Think about your customer. Really get clear on who they are. Your ideal customers. The good ones. -What is their pain point? What do they care about? What problems do they have? -How can you help them? If you think about your website and your online presence from this perspective you are aligning yourself with what Google is looking for. There is no better way to begin an intelligent and aggressive campaign to dominate your niche than to get on the same team as Google. They get a site that loads super slow or isn’t mobile friendly it isn’t those companies that person is frustrated with, it’s the big G and any company making 160 million dollars a DAY is going to do everything imaginable to avoid that. So, now that we know what Google is looking for, the very best possible result (based on what keyword is being searched for) and our goal is to BE that best result lets jump in and take a look at the ICI. I noticed 360ideas built this site. At least it wasn’t (hopefully) very costly. -They do have testimonials which is awesome. With social media today it’s super easy to find pictures of people which would give these a LOT more credibility. 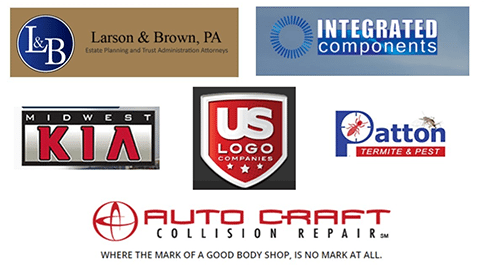 Logos can build trust but I am sure they have a LOT more than these if they are in this many lines of insurance. There is no clear ‘path’ for visitors to take. 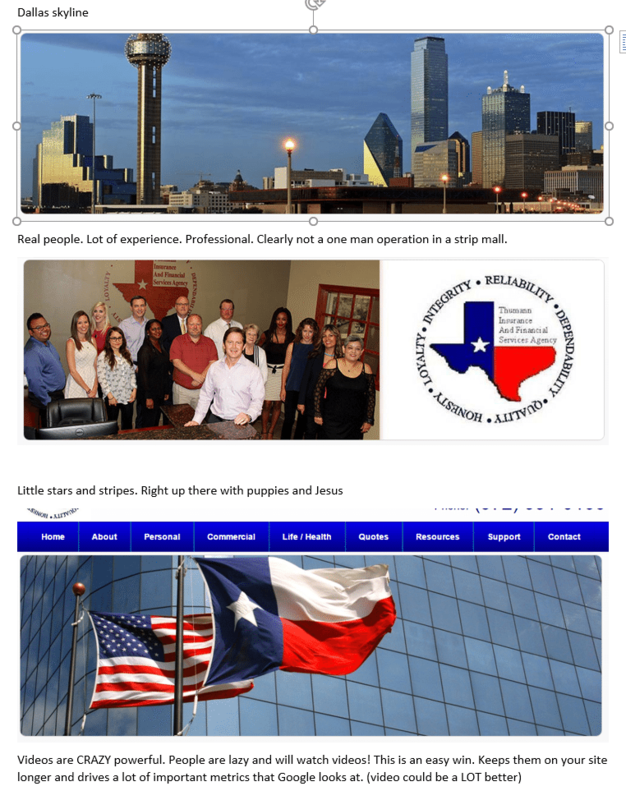 -The navigation is a hot mess. 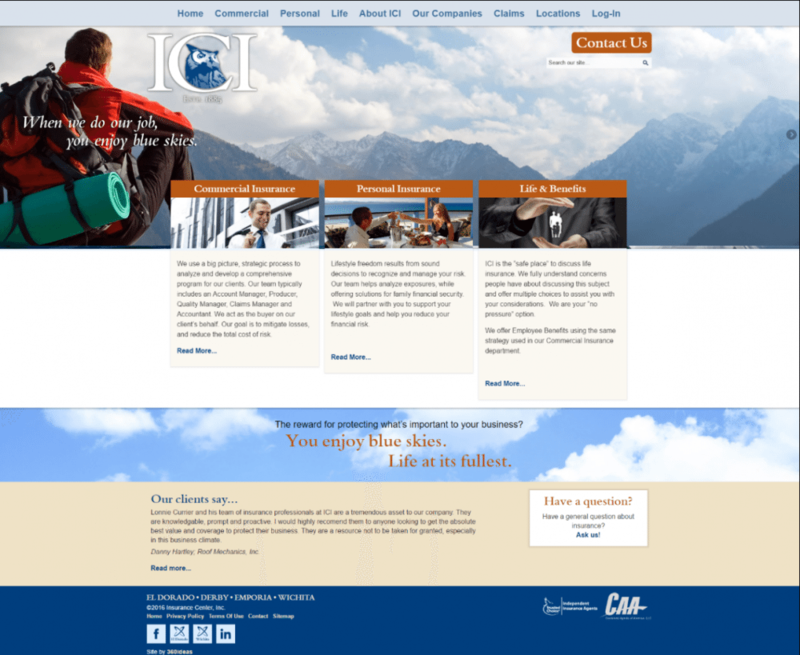 There is ‘commercial’, ‘personal’, ‘life’ and then ‘our companies’ in the navigation except ‘our companies’ has entire new types of insurance not listed in the main navigation. 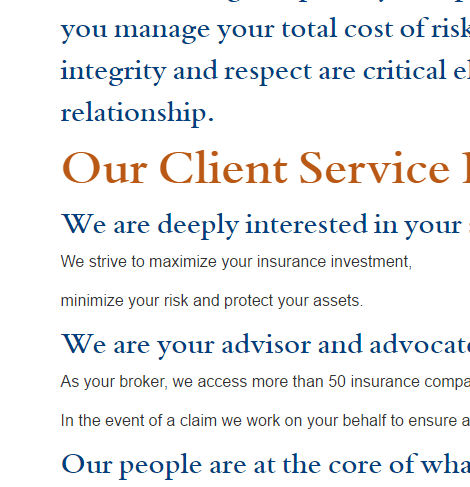 I love seeing an ‘About’ page but it drops down a mess of pages that are NOT helping ICI a bit. There is GOOD stuff here. It’s buried in thick blocks of text with no ‘story’ and no images but there is some ‘meat’ to work with here. A company that is ONE HUNDRED AND THIRTY ONE YEARS OLD has a tremendous, rich story to tell. There is close to nothing more powerful than a good story when it comes to your ‘about’ page and ‘history’ of your business. This is gold when it comes to building trust. PRO TIP If you have content on your website that, when read out loud, sounds weird or canned is BAD content. Your website is a reputation of you, what you do and why you are the best choice and worth reaching out to – if there is text, images, video (whatever) on your site that doesn’t contribute to that goal – it needs removed. Today if possible. The logo is an image which Google can’t ‘read’. The description is simply ‘Insurance Center, Inc.’ which is a big missed opportunity. It should read something more descriptive and helpful to Google like ‘Logo for Insurance Center, Inc. with offices in El Dorado, Emporia, and Derby, KS. 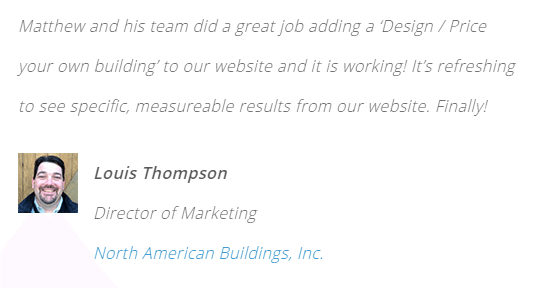 It’s important to realize Google doesn’t rank websites – they rank pages. If you have pages on your websites that are not bringing genuine, real value to the table they are just HURTING your visitors experience and your chances of ever getting traffic from Google. 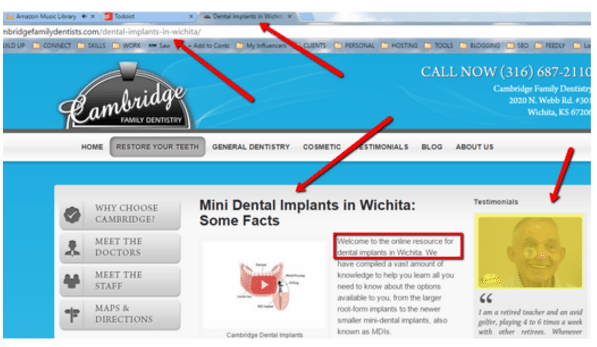 -This page makes it very easy to understand WHAT Cambridge Family Dentistry does, that they are good at it, and done it for a long time. -When we jump over to Google Analytics we see that the average time spent on this page is almost SIX MINUTES. 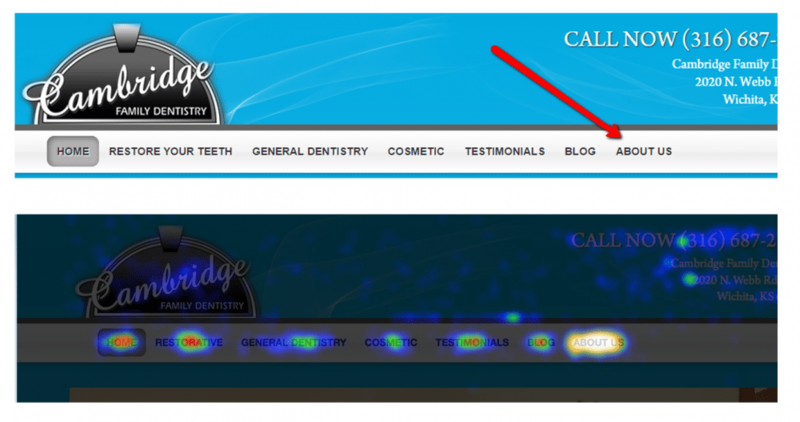 That’s a long time for anybody to stay on one page of a dental website! This is a recipe for GREAT rankings! We are giving Google exactly what they are looking for. Fresh, original content, original images, pages that are ‘about’ one thing, social proof. 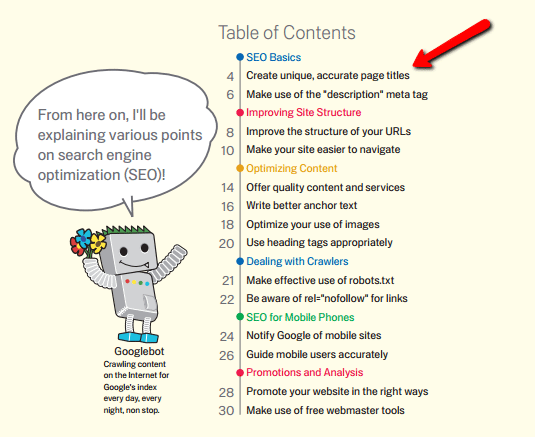 The FIRST item that Google suggests in their Starter Guide to SEO is the importance of your Title Tags. It is common to see the name of the business first and that’s a big mistake. Nobody is looking for your business name. They are searching for things that will solve THEIR problems. For Cambridge the ‘pros and cons of dental implants’ is a highly searched for set of keywords. Coincidently, Cambridge is #1 for that result and gets a lot of traffic from it! -This is awesome! This is what people are looking for. Real people they can relate to. This lets me SEE this is a ‘real’ business with people who care. Until I found this page I had no way to know this wasn’t a one man shop in a strip mall trying to be everything to everybody. Now I am enthused. A company this big, this diverse and this strong stands to gain a great deal by dominating their niche! 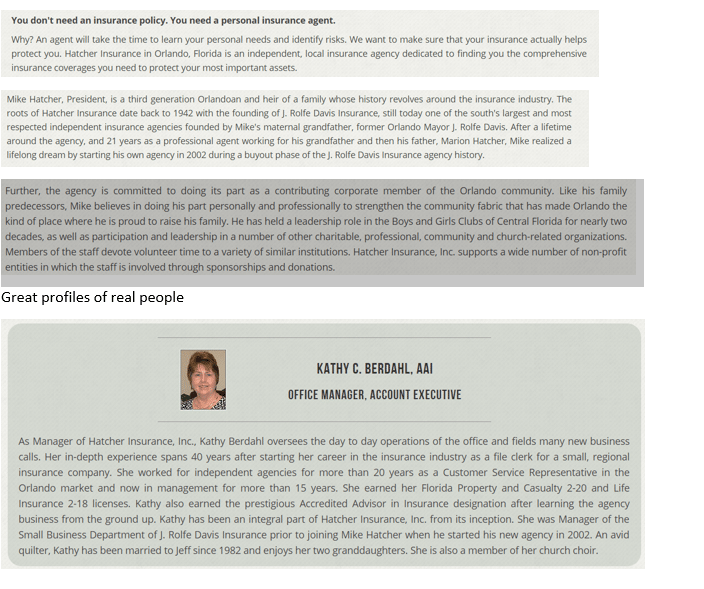 My guess is the leadership (and probably everybody who is part of ICI knows the websites needs replaced) I know from needing commercial insurance (another lifetime) it’s largely a relationship based business and they are likely pretty accustomed to their website not being a source of valuable leads. I would also guess they, like millions of others business owners, have realized that having a strong online presence is becoming more and more important. 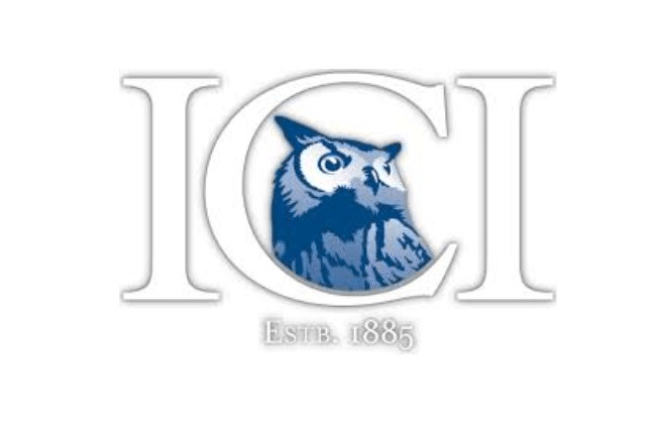 I am happy to do the research, if asked, but I think it goes without saying there is thousands of searches a month for keywords related to commercial insurance that ICI offers and that the ICI website is not ranking well for very many important keywords. This would be a BIG no, no if the pages were thin but surprisingly they aren’t! Sure a warm invite at the bottom of these pages and better images would make them stronger but I am still impressed. 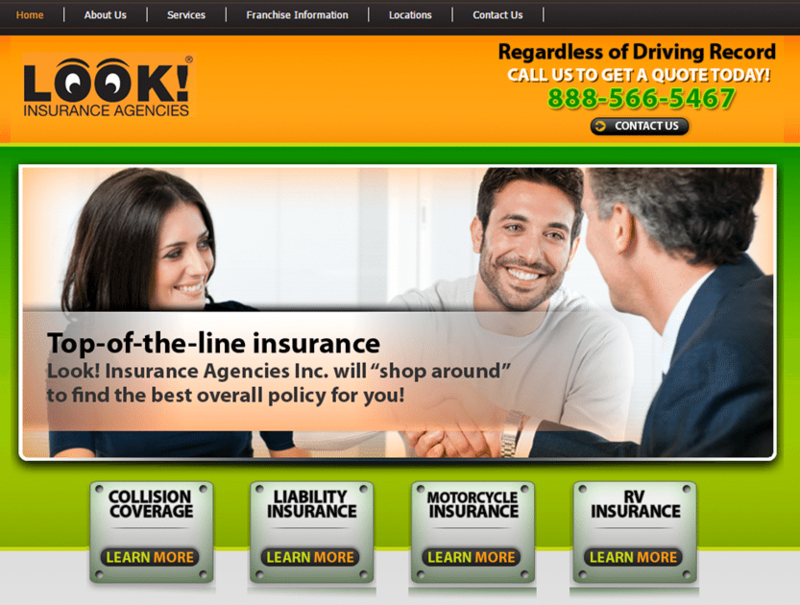 I had to look at probably 25 commercial insurance sites to find ONE this strong! 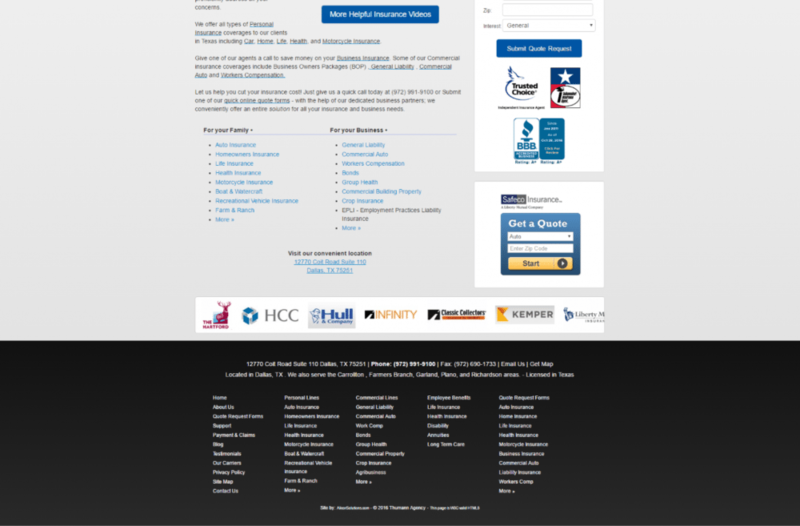 This site is proof that spending a small fortune on a website doesn’t mean it will make your phone ring! 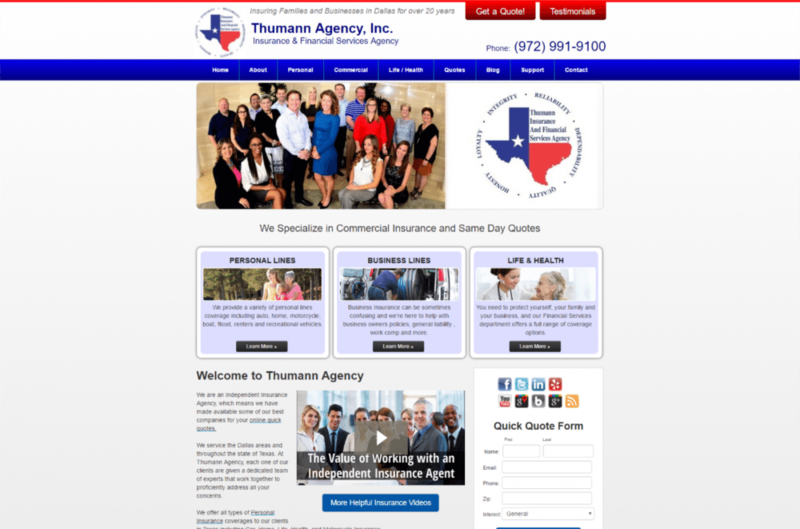 This site isn’t high end, real professional or polished (far from it) but I KNOW this website is helping grow this agency! Almost without fail the HIGHEST viewed page (regardless of industry) is the ‘about’ page. It’s always incredible to see how popular it is! Another reason why being genuine, authentic with your website, and more importantly, the content on your site is because that is what resonates with people and will keep them on your site! When visitors to your site stick around for a while, Look at numerous pages, Read your content, watch your videos. Take some kind of action, Google sees this and it impacts how much traffic you get! 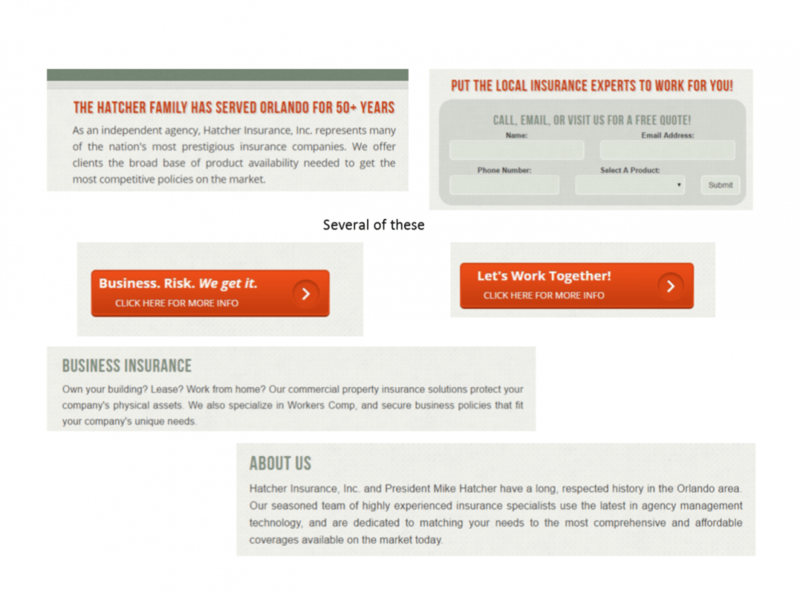 If they send website A traffic related to ‘commercial insurance’ and 50% of those visitors bounce (leave without clicking anything), only look at 1.2 pages and stay on the site for less than 30 seconds how much trust does that convey? Seriously. If visitors to your site look at almost 4 pages and spend 3 minutes (on average) on your site that’s a LONG time to be on an insurance site. 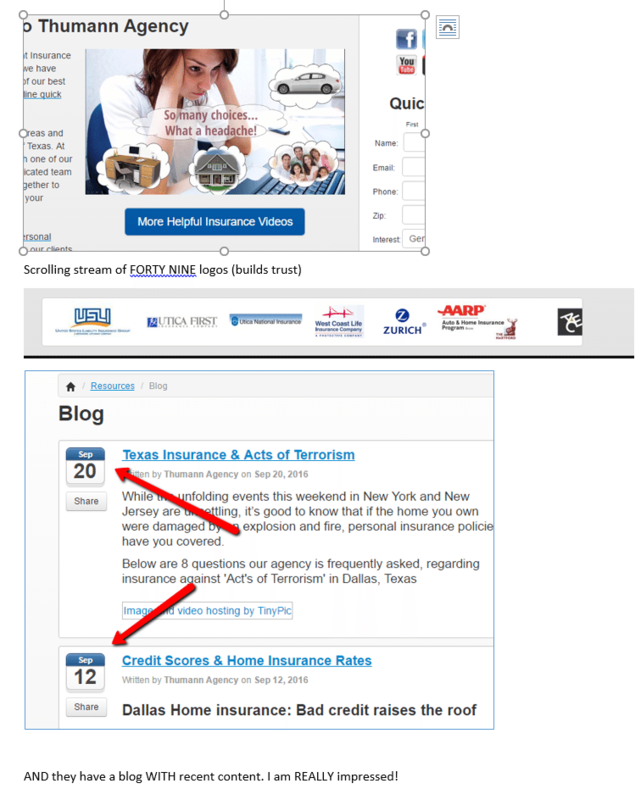 It’s very easy for Google to see that when they send this site ‘commercial insurance’ related traffic CLEARLY the content, the images, the navigation resonated with them. 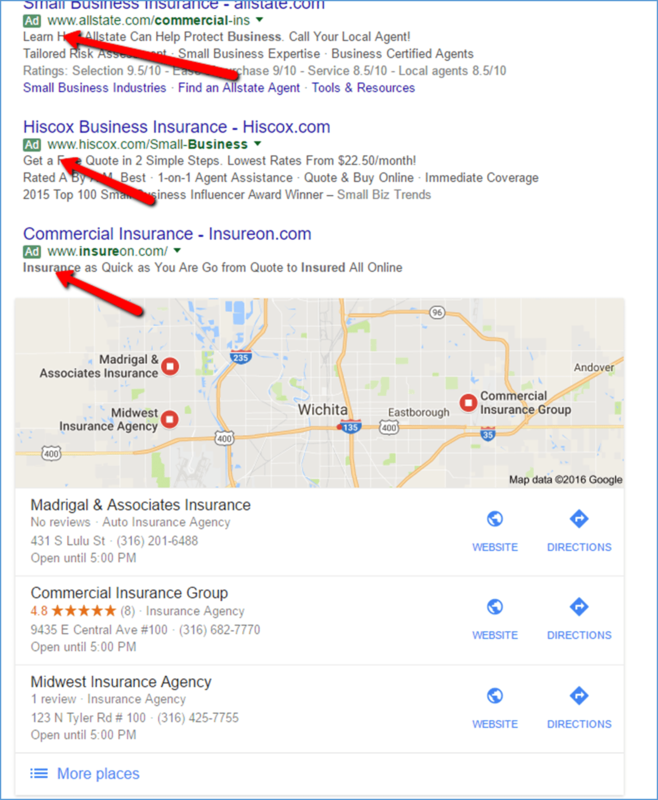 Hopefully, this was helpful to communicate the need to step back, look at the big picture, and instead of trying to figure out what Google is looking for and play the seo ‘game’ the easy road to great rankings is to BE that excellent resource when it comes to commercial insurance in the Midwest. 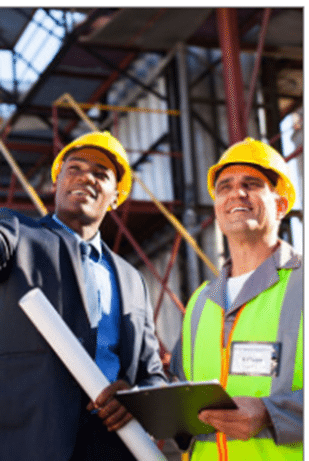 I have worked to increase the rankings and traffic for dozens of websites and I can say that, beyond the shadow of a doubt, success comes much faster (and at lower cost) when you start out with a good foundation. If you would like to get into the specifics of how we can take that lead on Google away from CGI and Madrigal I would love to connect.